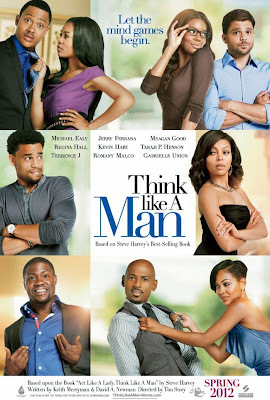 So the official trailer is here for the movie based upon Steve Harvey's national best-selling book, 'Act Like a Lady, Think Like a Man'. So will you go see it? Possibly. It seems like it will be funny. it has a great cast. So hopefully it will turn out to be a good production. I did not anticipate a storyline like this. Didn't really know what to expect. If I see it, it will be for entertainment only. It is a scripted movie, so it can only affect me so much. I hope these boot licking Uncle Rukkus types don't make a movie for the book, Is Marriage for White People.